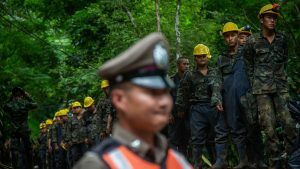 In northern Thailand rescuers say they could be ready to start bringing out the 12 boys and their soccer coach from a flooded cave as soon as tomorrow. But if there’s more rain – who knows what risks they could face. 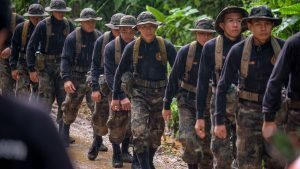 Thai authorities are racing to pump out water from a flooded cave where the 12 boys and their soccer coach have been trapped since June 23. If they’re aren’t freed soon the arrival of the monsoon rain could mean months stuck underground. 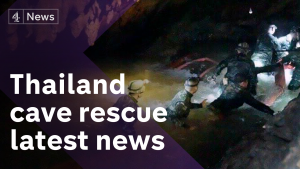 The boys have been trapped by floodwater in the cave system for 12 days. If they’re aren’t freed soon the arrival of the monsoon rain could mean months stuck underground. They’re calling it Black Friday. 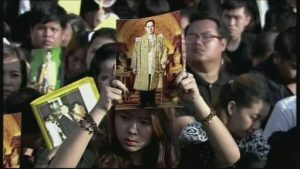 Thais are dressed in black today, with many in tears of mourning for King Bhumibol, who died yesterday after a 70-year reign. 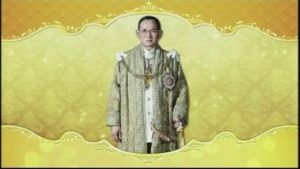 The Thai government has declared a year of national mourning following the death of Bhumibol. But the government has delayed an expected announcement of his son – the crown prince – as his successor. 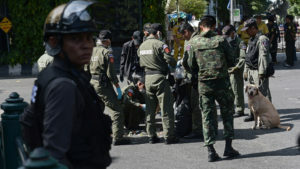 The Bangkok bomber has not left the country and remains at large in Thailand, according to a senior Thai military official. 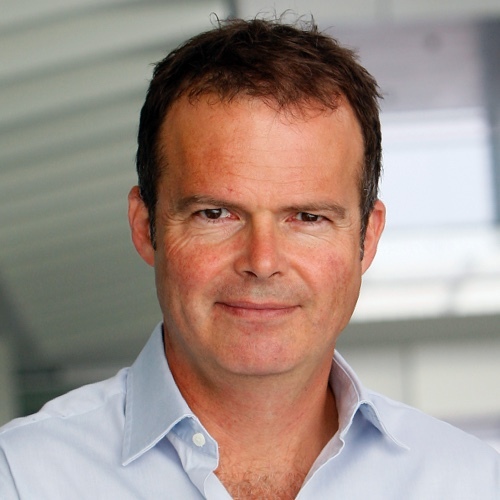 He told Channel 4 News that the police were confident that arrests would soon be made. Thai police say they believe the bomber who killed 20 people at a Bangkok shrine was part of a network, as they identify two new suspects. 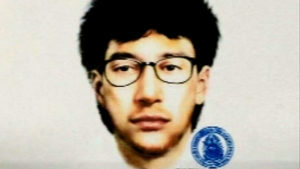 A British national was killed in the attack on the Erawan Shrine in Bangkok, Foreign Secretary Philip Hammond confirms. 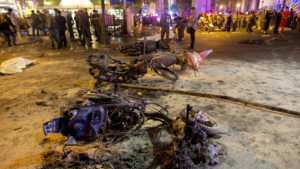 A bomb on a motorcycle kills at least 16 people and injures dozens more at a Hindu shrine in central Bangkok. 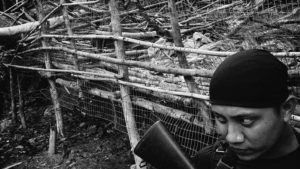 Channel 4 News along with photo-journalist Raul Gallego Abellan travel deep into the jungle to the Malaysian trafficking camps after mass graves were uncovered along the border. Malaysian authorities discover signs of torture and graves with multiple bodies in more than two dozen abandoned camps linked to human trafficking. 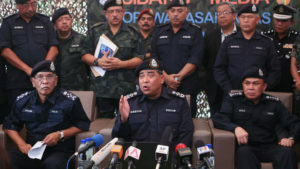 Mass graves and suspected human trafficking detention camps have been discovered by Malaysian police in towns and villages bordering Thailand, the country’s home minister says. Students stage protests against the Thai authorities, a year after the army seized power from an elected government.